When I walked in to Fauquier Hospital for my first day of volunteering this summer, I was excited, but more than a little scared. 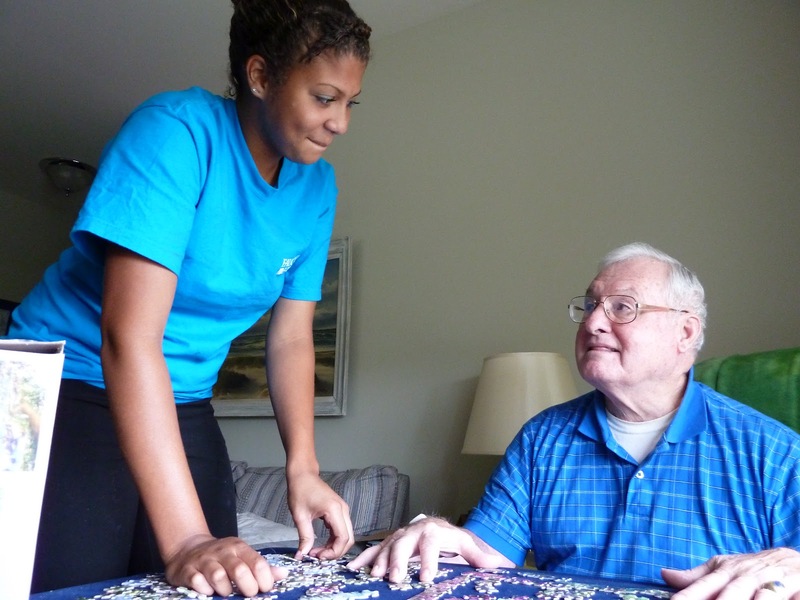 Although I had been a Junior Volunteer for two summers as part of the volunteer concierge program, this year I was going into a new department and was unsure about what to expect. I should have known better. As soon as I walked into Outpatient Special Procedures I was greeted with warmth and enthusiasm. Everyone went out of their way to make me feel welcome. Allison Cameron, unit support specialist II, brought me to the Interventional Radiology Department, and the nurses there showed me how to answer the phones. I found my favorite task was helping to connect callers with the right department. Anne Ziegler, RN, one of the nurses in the IR Department, led me through all the steps. She even called me from another phone so I could practice transferring calls. Of course, I completely bungled my first call. As I stammered out a frantic apology, Anne smiled reassuringly. Sheand the rest of the nursing staff made me feel right at home with their friendly conversation. Kari Schwind, RN, and I talked about mutual acquaintances; I chatted with Daniel Carter, RN, about homecoming dresses; and Dr. Douglas Markert expressed interest in my recent track season. Every day before I left, a nurse would take my hand with both of hers, look me in the eye, and tell me how much they appreciated my help. I looked forward to coming into work each day. The next week I filled in for a vacationing staff member in OPSP. I greeted patients, checked them in, and put together the patient charts. I loved putting stickers on all of the charts. Each sticker has a patient’s name and some basic information about the patient. It’s very important that the correct sticker is placed on each and every page of a patient’s chart so the nurses and doctors are absolutely sure about the specifics of the patient they are treating. Sandy Shipe, OPSP director, made it a point to make me feel like a part of the OPSP team. I knew the job I was doing was crucial to the department. If I wasn’t there to help put the charts together, a nurse might have to take on that responsibility, taking attention away from the care of his or her patients. 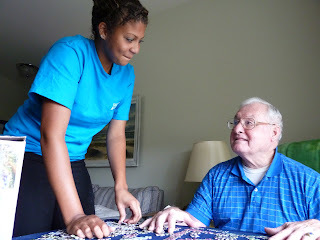 Ashtyn Foddrell (pictured above), who has been volunteering at The Villa the past two summers, absolutely loves her work. She runs movies, goes on short field trips, and sometimes just visits with the residents. “They love having company. They make me laugh every day,” she said. Ashtyn is a sophomore at Strasburg High School and aspires to be an OB/GYN. Maria Canas, who worked at FHRNC earlier this summer, said her favorite part of volunteering was exercising with the patients and visiting them. I know from my own experience that patients and visitors seem to like seeing a young face ready to help them out. At least twice a day I heard, “Well, I haven’t seen candystripers in years.” I even struck up a conversation with a patient about our uniforms. She had been a candystriper herself, years ago. Why do we do it? I don’t know about all the Junior Volunteers, but for me, bringing a smile to the face of a patient at Fauquier Hospital was reward enough for waking up at 5:30 a.m. during my summer vacation. Look for me next summer. I’ll be back.